Just two weeks after Lionsgate's Power Rangers cast Naomi Scott as the Pink Ranger, the studio announced that the Red Ranger has been cast. 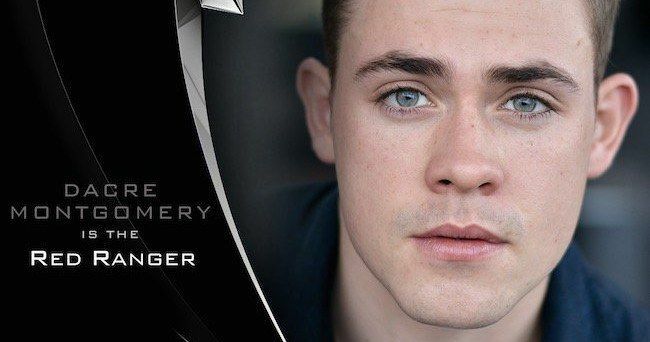 Newcomer Dacre Montgomery has signed on to play the Red Ranger, a role which will mark his feature film debut. The actor's only other roles to his credit are in the short film Bertrand the Terrible and the TV movie Family Tree Pilot Trailer. The casting news was announced through the reboot's official Instagram account. Earlier this month, a report surfaced that listed a number of actors and actresses who were trying out for the main roles in Power Rangers, which claimed that the studio was seeking unknown actors to play each of the Rangers. Dacre Montgomery's name was not mentioned among the contenders for the role of Jason, a.k.a. The Red Ranger, which included KJ Apa (Shortland Street), Austin Robert Butler (MTV's The Shannara Chronicles and Kevin Smith's Yoga Hosers) and Mitchell Hope (The Descendants). A report from August revealed that Jason was a former high school sports legend, a freshman quarterback who was poised to take his team to the state championship, before he blew out his knee in a car accident. Jason is said to be a "kid in need of redemption" at the beginning of the movie, but he eventually becomes the leader of these new Power Rangers. Those details haven't been confirmed quite yet, since we don't have any official story details. As for the other Rangers, Daniel Zovatto (It Follows), Ross Butler (Chasing Life) and Brian "Sene" Marc have tried out for Zack, the Black Ranger. We haven't heard about who has tested for the other two main characters, Trini and Billy, but it isn't known exactly which Rangers they will be. The studio is also casting for the main villain, which was initially rumored to be Rita Replusa, although a report from earlier this month claimed the primary antagonist will be Scorpina. That report also claimed the story will not be a reboot, and will follow the continuity of the latest TV incarnation, Power Rangers Dino Charge. Dean Israelite (Project Almanac) is directing from a script by Ashley Miller and Zack Stentz. Production is scheduled to begin in January 2016, so we should hear more about the rest of these main cast members, and the villain, very soon. While we wait for more details, take a look at the Red Power Ranger, Dacre Montgomery, from the Power Rangers official Instagram account.